The wedding has come and gone, and life can go on as before. I did not have it in me to pull my current project(s) out as soon as we got back. I have to thank my husband for giving me something to work on to get the creative juices flowing again. 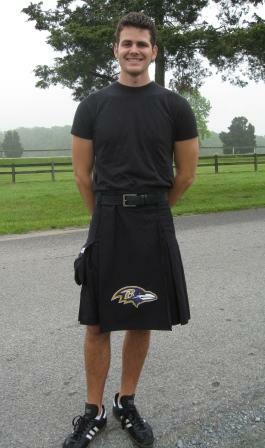 His Ravens themed modern kilt took one week to finish–keeping in mind that I work a full-time job and have to make time to go to the gym and make appearances to random family members. He found a modern kilt manual at xmarksthescot.com, and I started on the project the same day. 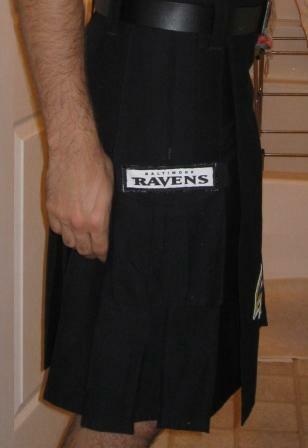 The kilt is made of black cotton twill; I made the Ravens patches out of a t-shirt and some duck cloth. It was a success, and the husband was able to debut the item at yesterday’s Fair Hill Scottish Games. The Ravens head got some positive reactions, now we just need to score some tickets with it. Today, I will also feature a guest creator: a friend of ours who went to yesterday’s event and brought her puppy, Darwin, decked out in his own kilt. 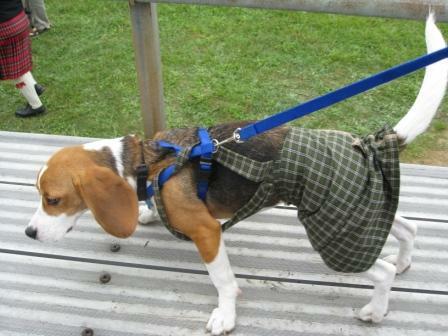 With fabric, velcro, and fabric glue, the kilt was a hit, and Darwin wore the piece for most of the day. Now that I have the will to sew for fun again, I am going to get back to work on my gold gown for opening day, which is on August 8. 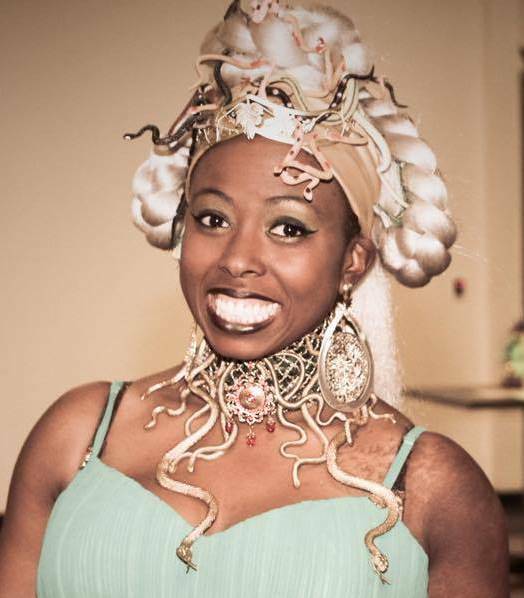 I have to make some length adjustments to the corset that I started and finish that. Next, I will re-fit the disaster smock. Then, I will jump right into the gown; I am shooting for June 1 on the start date. Ideally, I will have enough time to make a partlet and the beaded caul that I have been dreaming about. I am trying not to think about what I could possibly whip up for the husband in time for opening day.